With three double cabins, two heads and a spacious galley and saloon, the 405 offers space and freedom of movement for easy life aboard. 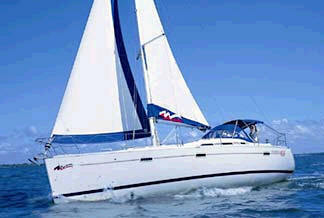 A streamlined profile, well balanced sail plan and user friendly deck gear guarantees a pleasurable fast and safe passage. 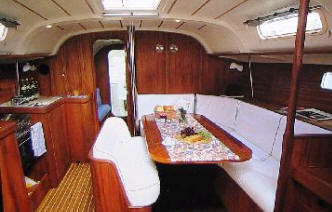 The Beneteau 405 has comfortable accommodation for 6 people in 3 double cabins. 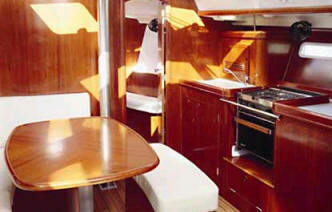 The forward cabin has a spacious v-berth with an ensuite head and hot and cold water shower. To aft, there are two more double cabins and another head with shower.